What is a Debt Lawyer? A debt lawyer is an attorney who represents clients who owe considerable amounts of money to banking institutions, credit card companies, the IRS, and other businesses. Especially in the current economic climate people are facing mounting debt that they may not be able to handle. When you have extensive amounts of bills and the "final notice" letters are arriving in the mail it may be an important time to seek a Debt Lawyer. Defaulting on a mortgage, a credit card, or a loan from a bank can have disastrous effects. It can destroy your credit and cause you to pay higher interest rates when buying on credit or prevent you from purchasing property altogether. Debt Lawyers deal specifically with creditors to help negotiate lower payments on credit card bills, mortgages and loans. Why would I want a debt lawyer? A debt lawyer can help you reduce the amount of money that you will owe to a creditor or help to make payments to creditors more affordable to an individual. Creditors are perfectly aware that there are a number of people who will not be able to pay back all of their loans. The cost of foreclosure and debt collection can be costly for the creditor as well and they are often open to negotiations so that both parties involved will end up with something. American Express's default rate is 8.5% and Bank of America's charge of rate is 14.9%. Now more than ever before banks are attempting to recoup what they can from those individuals they feel are at risk of default. Debt lawyers will negotiate with your Credit Card Company or bank to discuss new payment plans, lowering interest rates or settling the debt on a credit card way below the current balance. When deciding whether to retain a debt lawyer an individual should consider how much they owe, how much the balance is expected to be reduced and how much a lawyer will cost. A debt lawyer can also help a client with consolidation of debts. This will result in payments that are easier to keep track of and result in lower overall payments. In a worst case scenario a debt lawyer can also help a client file for bankruptcy. Bankruptcy is legal action where an individual becomes sheltered from creditors due to their financial situation. Bankruptcy has its own laws and litigation over bankruptcy involves its own court system. Debt lawyers retained for bankruptcy should have extensive experience dealing with bankruptcy and if you are considering it you should consult, not just a debt lawyer, but a debt lawyer that specializes in bankruptcy. It may be beneficial for you to talk to your creditor before seeking the help of a debt lawyer. Depending on a number of factors including: your past business with the creditor and your ability to pay, the creditor may consider working with you to lower your interest rate or to reduce the amount owed in return for a lump sum payment on the account. When attempts to deal with the creditor on your own have failed to come to a settlement that meets your needs then the services of a debt lawyer are necessary. There are many factors involved in retaining a debt lawyer. The most important factor when searching for debt lawyers is to ensure that your debt lawyer is capable of litigating in your state. Many debt lawyers work on a national level and even though they may help you in negotiations they may not be able to aid you in litigation in they are not barred in the state in which you are going to litigate. When you look for debt lawyers you should make sure that those debt lawyers have extensive experience negotiation with creditors and, if possible, the specific creditors involved. You should also seek debt lawyers who are also trained in negotiation skills. This includes certificates and classes in negotiation, alternate dispute resolution and mediation. Many times the amount of money that debt attorney costs will negate any benefit made through the negotiation of a debt with a creditor. A debt lawyer will often require a retainer fee, a monthly maintenance fee and a percentage of the savings associated with the debt lawyers services. It is usually not prudent action for a debtor to retain a debt lawyer when his or her debt is less than $5,000. Depending on the state, and the extent to the negotiation a lawyer may request up to 30% of the saving made in debt negotiation with a creditor. Although this will often still result in a savings to the client there may be alternate routes. A debt settlement lawyer is an attorney, barred by the state that can help you with your debts including mortgages, loans, and credit cards. A debt settlement lawyer can has the experience, knowledge, and education to negotiate with creditors to get the best result in for you in helping you relieve your debt while at the same time, maintaining a viable credit score. When considering a debt settlement lawyer you should evaluate the amount of money you owe, the interest rates, ability to pay the debts and your ability to get loans at lower rates of interest to pay off the high interest charges. Debt Settlement lawyers will be able to help walk you through this and prioritize your debts and help in deciding if further action should be taken. Debt Settlement Lawyers will attempt to negotiate with your creditors to help you pay off your debts in a way that is more affordable and less stressful than if you were to attempt to pay off the debt yourself. The current economic crisis has caused the percentage of loans that are defaulted to skyrocket. Currently Bank of America cites their "at risk" accounts at 14%. Because of this banks and other creditors are willing to settle debts for less than the balance owed. Debt settlement lawyers will attempt to persuade the creditors that they would be in a better situation to accept a lump sum settlement now and re-invest then to attempt costly and time consuming debt collection practices and litigation. When an individual is swamped in debt it can drastically affect one’s lifestyle. This can include the destruction of credit scores and the repossession of property by banks and other creditors. When these situations arise and an individual has run through the course of self-help it may be time to call a debt collection lawyer. A debt collection lawyer is best equipped to deal with creditors and is often on a familiar basis with those involved in the negotiation process. A debt collection lawyer will be able to review your agreements and determine if the creditors are using unfair lending practices. Debt Collection Lawyers will help clients better understand their options in dealing with mounting debt incurred through mortgages, liens, loans, credit cards and other matters involving debt. Debt collection lawyers can help you consolidate your debts, help you prioritize your payments, negotiate with creditors, and file for bankruptcy if necessary. Debt Collection Lawyers are familiar with the debt collection process and often have training in negotiation skills including mediation, arbitration and other forms of alternate dispute resolution. It is important to realize that lenders who view you as "at risk" are willing to negotiate but they are still looking out for the best interests of the lending institution. In order to get the best results from negotiation it is important to have debt collection lawyers working on your behalf. Debt Relief Lawyers are a valuable resource to individual who are burdened by debt of any kind. Especially in this current economic climate where predatory lending and sub-prime mortgages have cause many consumers to fall into crushing debt resulting in default, the aid of a debt relief lawyer can be a valuable tool in protecting yourself from foreclosure, the destruction of credit, and the lessening of the burden due to mounting bills. If you have exhausted your options of seeking debt relief on your own and are still unsatisfied you should consult with a debt relief lawyer in order to discuss your options. Debt relief lawyers will be able to help you negotiate with banks, credit card companies and debt collection agencies in evaluating and negotiating the settlement of debt that will both satisfy the banks and alleviate some of the financial and emotional strain that comes with mounting bills. When meeting with debt relief lawyers you will want to have a plan set for what you want to accomplish. The commercials that you hear involving the reduction in debt by up to 90% are rare and you should have realistic goals when you go into discuss the matter with debt relief lawyers. When meeting for an initial consultation with debt relief lawyer you should have copies of all your debt statements, including your credit card bills, mortgage statements and any other documents pertaining to money that you owe. At the very least debt relief lawyers will be able to help you prioritize your debts. Debt Lawyer Settlements will result in lower monthly bills, lower interest rates, prevention of foreclosure on property, and the protection of your credit score. Although there many situations involving debt can and should be handled on your own there are situations where representation is well worth it. Settlements negotiated through debt lawyers are advantageous when you are in danger of foreclosing on property or owe money in amounts greater than $10,000. The interest alone can be up to 17% a year on some credit cards. Debt Lawyer Settlements will attempt to convince the creditors that by taking a lump sum settlement now the creditors will benefit more from immediate relief than by going through collection agencies, litigating, and ultimately foreclosing on property that may not be as valuable as the loan itself. Debt Reduction Lawyers should be retained when you have debt mounting to more than $10,000. The interest rates on outstanding debts of this amount can be upwards of 17% of your balance. That means that for a $10,000 credit card balance you are paying $1700 strictly in interest. A Debt Reduction Lawyer will negotiate with your credit card company or mortgage lender to reduce the amount owed in return for immediate payment of a lower negotiating skills necessary to deal with the banks and credit card companies to reach a settlement that will be favorable to you and help you stay afloat under surmounting debt. Debt Reduction Lawyers have the experience, expertise, and education necessary to help an individual negotiate with credit card companies and the banking industry in coming to amicable agreements about debt repayment. The banking industry has the upper hand in negotiating interest rates, payment plans and everything else involving credit. The consumer is often left with little alternative to accept the offers, no matter how unfair, set out by the credit card industry. Debt collection lawyers are knowledgeable about the laws and contracts associated with credit cards and will help to inform you of your rights. Many of the practices used by credit card companies are usurious, and sometimes illegal. Debt Collection Lawyers can keep you aware of your rights and are experts at reading the lengthy and complex contracts that credit card companies use to hide unfair practices. A Debt Consolidation Lawyer will help you in your attempts handle your mounting debt. 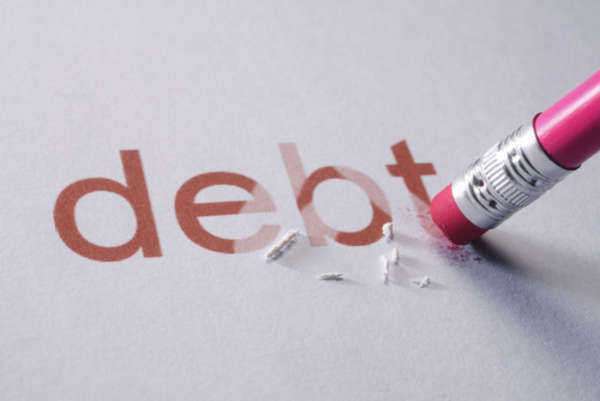 It is often the case that an individual will have more than one debt obligation. When this happens the onslaught of bills can seem overwhelming and it is difficult to keep track of, not only your bills, but how to prioritize them. A Debt Collection Lawyer will help you prioritize you bills; advising you on what bills to pay off as soon as possible and which ones to pay the minimum, or even ignore. A Debt Consolidation lawyer will also work with your lenders to help consolidate your bills in a manner that is manageable. Be wary of consolidation services provided by private businesses. Often these do not provide representation by an attorney and when they do the attorneys may not be licensed to practice in your state.